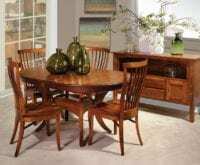 Elegant enough for a formal special occasion, the Old Towne Dining Set is also casual enough for a relaxed family get together. 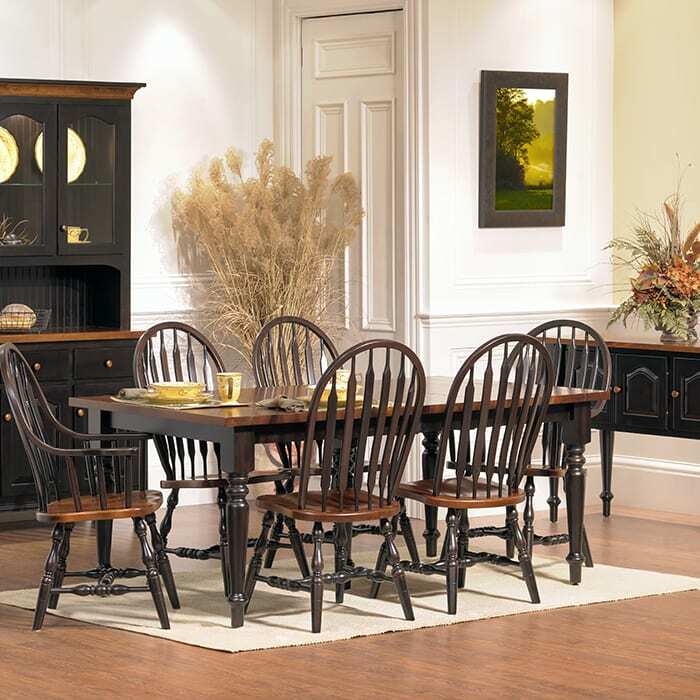 This is just one of our many Amish built dining tables to choose from. Select a solid top or one with leaves that adjust to fit a family of 2 to 22. Then mix and match it with some of the most comfortable seating options available. Choose your favorite wood and select from a wide variety of finishes to make it uniquely yours. Our durable finish makes your set resistant to even hot water and water rings. Plus, most have room to self- store leaves right in the table. 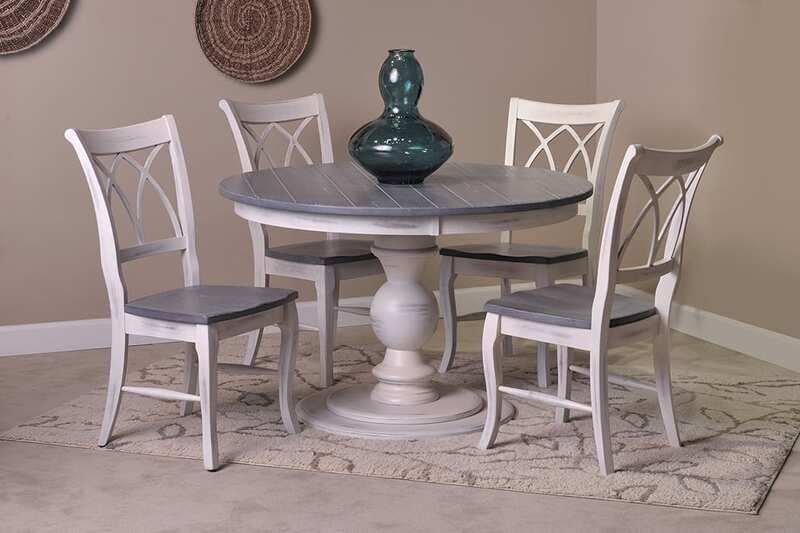 Perfect for building generations of memories around the dinner table!